Professor Zechmeister is Cornelius Vanderbilt Professor of Political Science and Director of the Latin American Public Opinion Project (LAPOP). 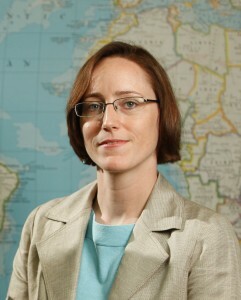 Her research and teaching focus on comparative public opinion and political behavior. She has published studies of voting, ideology, political parties, representation, charisma, and crisis. Her work has been supported by numerous grants, including the U.S. National Science Foundation. Her research has appeared in the American Journal of Political Science, Comparative Political Studies, the Journal of Politics, Electoral Studies, and Political Behavior, among others. She is co-author of Democracy at Risk: How Terrorist Threats Affect the Public (University of Chicago Press, 2009) and Latin American Party Systems (Cambridge University Press, 2010). She is co-editor of The Latin American Voter: Pursuing Representation and Accountability in Challenging Contexts (University of Michigan Press, 2015).